Mud created in the yard is highly likely for most homeowners. Between summer showers, watering the grass, and letting the kids cool off with water games creates mud in various areas of the yard. As a result, your pup, or even the human occupants, can track muddy paw, shoe, or foot prints across your carpets, rugs, and even the upholstery. With that in mind, we at Green Co Carpet Cleaning would like to offer a method to remove the muddy paw prints from your carpet, rugs, and upholstery. How Do You Remove Mud Stains from Carpet? 1) The important step when treating the muddy paw prints on your carpets is to resist the urge to do anything right away. Where the majority of spots require immediate reaction, when it comes to mud, the best thing to do is let it dry completely before doing anything else. The reason being is that dry soil is easily vacuumed and treating mud will likely spread it out and push it deeper in the fibers making the mess more difficult to clean. 2) Vacuuming follows once the remnants are all dry. Be sure to vacuum at a slow steady pace so it has the opportunity to extract the dry soil more effectively. Keep in mind the soil that you cannot see deep below the surface. Keeping the vacuum moving slow over directions across the paw prints will efficiently extract the majority of the dirt. 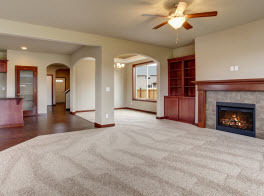 3) Should any spots remain after a real thorough vacuuming, you can treat them with a simple home remedy. In a squirt bottle, mix equal parts (2 cups each) white vinegar and warm water with 1tsbsp mild liquid dish soap and make sure it is well mixed. Lightly mist the inflicted area with the solution and with a towel and apply pressure to absorb the moisture and lingering soil spots. This will leave the carpet residue free. 1) Like carpets, letting the muddy paw prints dry first is best. Once dry you can vacuum the debris slowly in multiple directions to ensure you have all the debris. 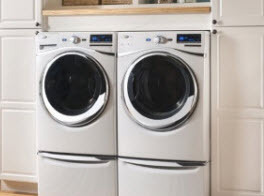 2) Prepare 2 cups cool water, 2 cups white vinegar, and 1 tbsp mild liquid dish soap well blended in a squirt bottle. Apply the solution to the area lightly and with a clean, dry towel place pressure on the damp area to lift the moisture and spot from the rug. 3) Sprinkle baking soda on the treated area; once completely dry, vacuum the baking soda. 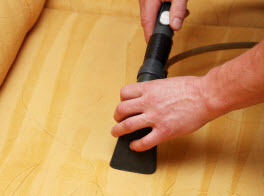 1) Let the muddy prints dry up and use the vacuum hose and upholstery attachments to vacuum the now dry dirt. 2) In a spray bottle, mix 1 tbsp liquid dish soap and 2 cups cool water. Treat a white cloth with the solution and use it to use the cloth to blot out any lingering residues. 3) Use a dry cloth to blot in between applications to avoid over saturating and repeat until the spot is gone. Be sure to blot out the moisture once the spot is lifted. We hope this helped remove the muddy paw and footprints from your home. To maintain healthy carpets, be sure to get them professionally cleaned one to two times a year or more if needed with Green Co Carpet Cleaning. Call us to schedule your next appointment today! Sofa & Mattress Cleaning & More! 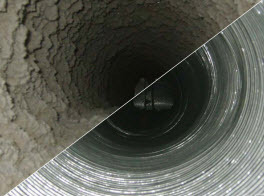 © 2016 Green CO Air Duct Cleaning. All rights reserved.